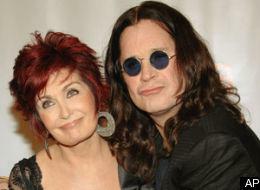 The Osbourne's Risk Losing Their Home As They Fall Under Mounds Of Debt! The Osbourne’s Risk Losing Their Home As They Fall Under Mounds Of Debt! Sharon and Ozzy Osbourne opened their home up for millions of viewers to see their luxurious and exuberant lifestyle in their reality series, however now they could be at risk of losing it all! The lavish pair have run up a tax bill of over £1million and they are thought to owe more than $1.7million to the IRS. These shocking figures were discovered last Monday, when the tax authorities recorded that ‘John and Sharon ­Osbourne’ owe $718, 948 (£440,000) in tax starting in 2008 and a colossal $1,024,175 (£625,900) from 2009. All together owing a whopping $1,743,123! The infamous couple have put their £6.1million beach house in Malibu on the market in the hope that it may help their embarrassing situation. Despite receiving a massive £100million from being the singer of rock band Black Sabbath, Ozzy’s riches are thought to have taken a hefty blow during the financial credit crunch in America. Despite possibly having to sell one or two of their many properties we are not too worried that the Osbourne’s will be left out on the street. If they are left totally homeless however, we think Ozzy might receive some pretty good donations if he were to try busking on any street corner.